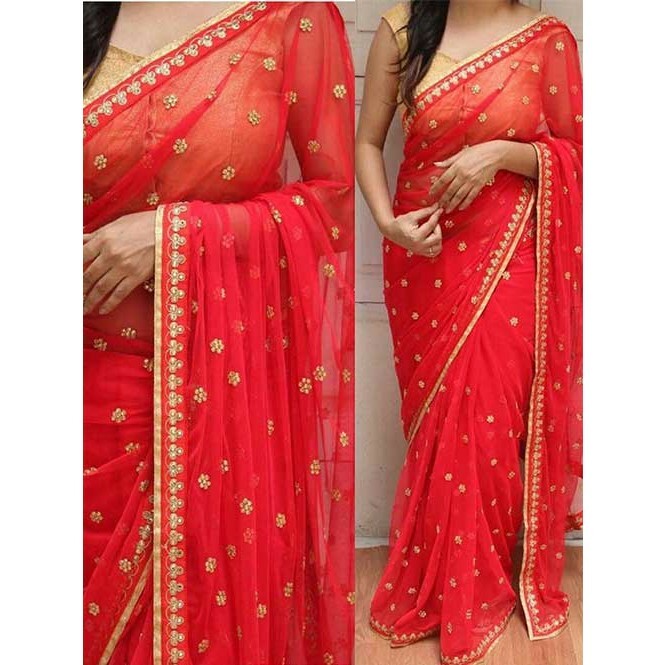 Revamp your wardrobe and get classier outfits like this gorgeous red coloured georgette Embroidered Saree . This beautifully Embroidered saree will catch your attention instantly and will lend you a vibrant look. 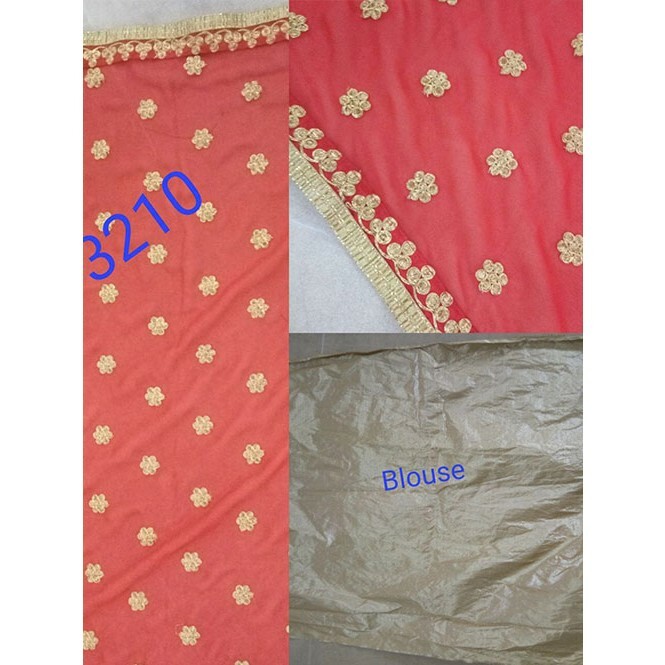 Fashioned from georgette, it will fall smoothly over your frame. Team it with stunning jewellery pieces to add a hint of sparkle to your look. 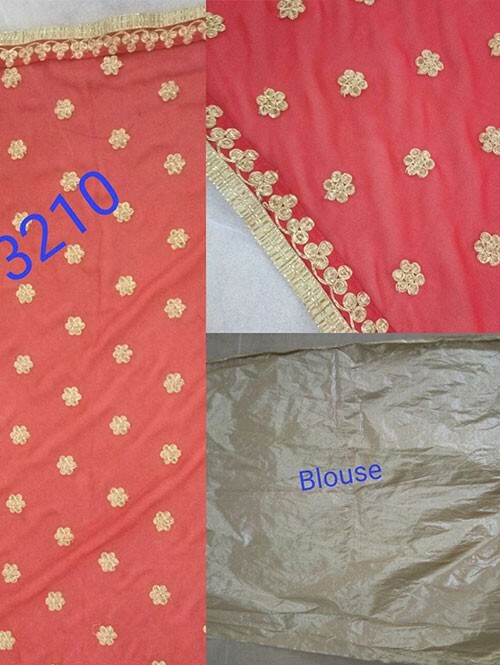 This saree measures 5.50m and comes with a 0.80m blouse piece.